It is of the utmost importance that anyone in California who has been arrested for drunk driving request a Department of Motor Vehicles hearing within 10 days of the arrest. These 10 days include weekends and holidays, so time is of the essence. The consequence for failing to request the DMV hearing could very well be the suspension of a person’s driving privileges in California. California law allows the Department of Motor Vehicles to institute an Administrative Per Se (APS) sanction following every DUI arrest in California. This is the case whether the DUI charges are based on a breath test, blood test, or a refusal to take either test. The consequences of a DMV Administrative Per Se (APS) hearing can range from no action taken to harsh suspensions and revocations. With the help of a California criminal defense attorney with vast experience in drunk driving cases, the consequences of these hearings will most likely be limited. If a person charged with DUI fails to request a DMV hearing within 10 days, the Department of Motor Vehicles will begin the automatic process of suspending that person’s driving privileges in California. This is true even if the person has a driver’s license from another state. Failure to request the DMV hearing in a timely manner will mean that the person will be forced to file an SR-22 proof of insurance form with the DMV in order to lift the suspension of his or her driving privileges. When the SR-22 is filed, it will have the effect of notifying the person’s insurance company that he or she has been charged with a DUI / DWI. The insurance company will, in all probability, cancel the person’s insurance policy. However, if a person’s job requires driving, or if a person needs a car to get to work, the APS judge may restrict the person’s driving privileges to a commute back and forth between work, court, and home. If the circumstances of the DUI charge are grievous, or if the driver is a repeat offender, restricted driving may not be granted. People with out-of-state licenses may not be concerned about failing to request a Department of Motor Vehicles hearing and losing their California driving privileges. However, it is important to understand that DMV action in California can affect driving privileges in drivers’ home states. Therefore, if your state is notified that you received a DUI in California, your state may take action to suspend your driver’s license in your home state. The results of the DMV hearing can vary depending on whether it is the driver’s first, second, or third offense. However, a qualified lawyer, who focuses on drunk driving defense, can work to achieve the best possible result — preventing the suspension of a person’s driver’s license. This is a crucial consideration to keep in mind in a state like California, where people most certainly need to drive to survive. The Department of Motor Vehicles hearing is generally more favorable to the prosecution. At the DMV hearing, the judge is the prosecution. The judge (prosecution) will have the results of the chemical tests as well as the police reports. The DUI defense attorney will be prepared with all possible objections to the police reports and other evidence being taken into consideration at the hearing. For the most part, the defense will object to the evidence as being hearsay. In addition to objecting to the evidence, the lawyer will try to convince the judge that there was no reasonable cause to believe that the driver was driving a vehicle while under the influence, or that there was no lawful reason to stop the driver in the first place. The attorney will seek to argue that the arrest was unlawful. If the arrest was unlawful, any chemical tests taken after the arrest will be inadmissible. The attorney will also seek to argue that the driver’s blood alcohol concentration levels were not .08 percent or higher while he or she was driving. 1. Whether the police had reasonable cause to believe the driver of the vehicle was under the influence of alcohol. 2. Whether the arrest was lawful. 3. Whether the driver’s blood alcohol content was above the legal limit while he or she was driving. The drunk driving defense attorney, no matter how skilled and experienced, will be confronted with the low standard of proof required at a DMV hearing. Department of Motor Vehicles hearings are not criminal hearings and cannot result in criminal sanctions or punishments. In criminal courts, a driver must be proven guilty beyond a reasonable doubt. In the DMV hearing, which is a civil hearing concerning driving privileges, the standard for proving guilt is significantly lower than the standard of reasonable doubt. In DMV hearings, the standard for proving guilt is based on the preponderance of evidence. The preponderance of evidence standard simply requires the judge to rule that something likely happened based off of the information presented to him or her. In the case of DUI / DWI, the judge will look at police reports and other evidence to decide whether a driver was likely driving under the influence. If the judge finds that the driver’s blood alcohol concentration level was likely above the legal limit, or that the driver was otherwise under the influence of alcohol, then the driver’s license will be subject to suspension. In a Department of Motor Vehicles hearing, a driver’s best chance for maintaining at least some driving privileges is to hire a DUI attorney with vast experience in DUI cases. It is not easy to defend a case against the low preponderance of evidence standard. Therefore, it is best for a case to be handled by one who know the process thoroughly, and who can use technical knowledge to have evidence thrown out when necessary. 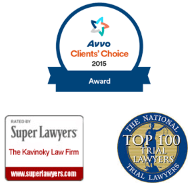 For a free evaluation, contact The Kavinoky Law Firm. At the Department of Motor Vehicles hearing, the DMV carries the burden of proof. This means that they must answer all three issues in the affirmative. The evidentiary standard is the preponderance of evidence. This low legal standard is applicable in administrative civil hearings such as the DMV hearings. At the hearing, the judge, who is also the prosecutor, will begin entering into evidence the arresting officer’s statement as well as other evidentiary documents. A DUI defense attorney will work to keep the police statement and other documents from being entered as evidence. The attorney will rely primarily on the hearsay objection. A document can be considered hearsay when a “statement, other than one made by the declarant while testifying at the trial or hearing, is offered in evidence to prove the truth of the matter asserted.” This is the definition of hearsay as defined in the Federal Rules. Most states, including California, have hearsay rules that state basically the same thing. In layman’s terms, these rules prohibit a statement from being entered as evidence, unless the person who made the statement testifies to that statement in court while under oath. There are exceptions to the hearsay rule. If a police officer files a statement during the course of official duty, the report can be entered as evidence. However, if the arrest was unlawful in any way, the officer cannot be seen as acting within the course of official duty. In this circumstance, the exception to the hearsay rule does not apply and the officer’s statements may be inadmissible. If a police report is incomplete or incorrect in any way, the document will be inadmissible. However, these reports are not the only things that can be entered as evidence. Forensic alcohol experts may also be called to testify. Their testimony will be based on the science of alcohol absorption and elimination, and on the driver’s blood alcohol concentration (BAC) at the time he or she was actually driving. Witnesses may testify at Department of Motor Vehicles hearings. A defense attorney skilled in drunk driving cases will decide whether or not this is the best approach. Witness testimony is often not required. Generally, declarations can substitute for witness testimony. Declarations are sworn written statements. Title 17 requires that blood and breath tests be trustworthy, and has established rules that define the trustworthiness of these chemical tests. A California criminal defense attorney with vast experience in DUI cases can attack the evidence as being untrustworthy. If the tests are proven to be untrustworthy, they will be inadmissible and could result in a non-suspension of driving privileges. Once all of the admissible evidence has been placed on record, the judge will consider the case. He or she will then hand down one of two possible rulings. The judge may set the case aside, which means there will be no suspension or limitations placed on the driver’s license. The judge may opt not to set the case aside. This means that the driver’s license will then be subject to revocation, suspension, or some sort of restriction. It is likely that the driver will be ordered to attend and successfully complete alcohol education classes. The length of suspension and degree of restriction on a license is dependent on the driver’s history. Past DUIs or violations will increase the sanctions. Furthermore, a driver may be required to file formal proof of insurance with the DMV. This is done by filing an SR-22 form.